Swelling or edema is an abnormal buildup of fluid in the body. Often it presents itself in the extremities including feet, legs, hands, and arms. It can have a detrimental impact on circulation and create discomfort. Often it is caused by sitting for an extended period of time or suffering an injury. It is also common in pregnancy. Compression socks such as SmoothToe graduated compression socks are often prescribed to alleviate the effects of edema. But how do they help with the problem? Here is some insight. The purpose of a compression sock is to provide a firm yet gentle pressure to the impacted areas. They are typically a firmer pressure at the base of the sock and gradually get less intense as they move up the arm or leg. Graduated compression socks are designed to prevent the buildup of excess fluids while helping to improve blood flow by forcing blood to circulate back to the heart. This prevents the fluids from accumulating in the extremities. Individuals who suffer from edema should wear compression socks during the day. They are often taken off at night, however your medical provider might have reasons for wearing them all day long. Medical grade graduated compression socks are designed with varying degrees of support. They are measured by millimeters of mercury (mmHg) and range from firm to moderate compression. Firm compression – This level of compression provides strong support for the wearer. It measures from 20-30 mmHg. These socks are typically used for moderate swelling accompanied with moderate soreness. Moderate compression – These socks measure from 15-20 mmHg and are used for mild to moderate swelling and pain. 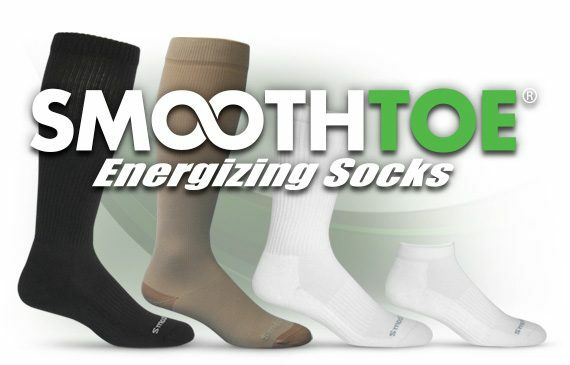 Smoothtoe Energizing Socks are graduated compression socks that offer a variety of options for both medical needs and sports recovery and improvement. 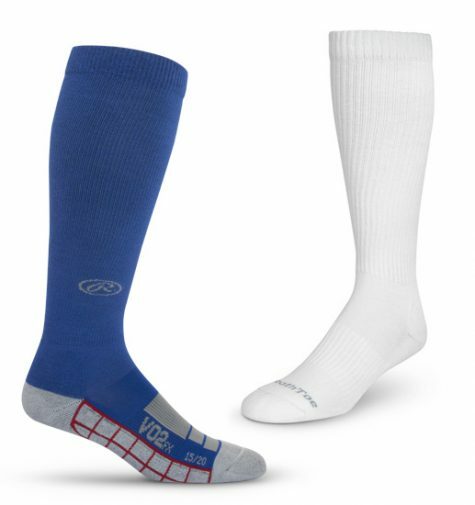 We offer a full line of graduated compression socks in a variety of colors and styles, including knee high, crew, quarter and low cut designs — we even offer a dress sock. There is a fit and a color for every need. Contact us today for more information. Check out our full line today!